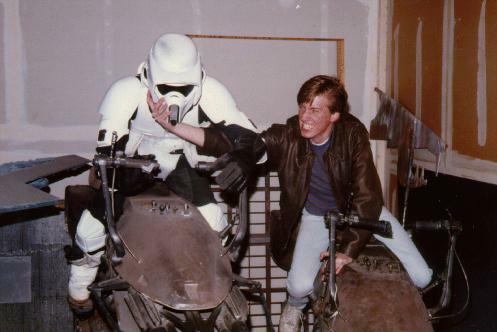 This is what happens when you ride around without a helmet at Skywalker Ranch. Yeah, all of that stuff is genuine. Did I mention that Josh is one lucky guy? Here's a scene from Return of the Jedi that was cut from the movie. From the collection of: Lucasfilm, Ltd.